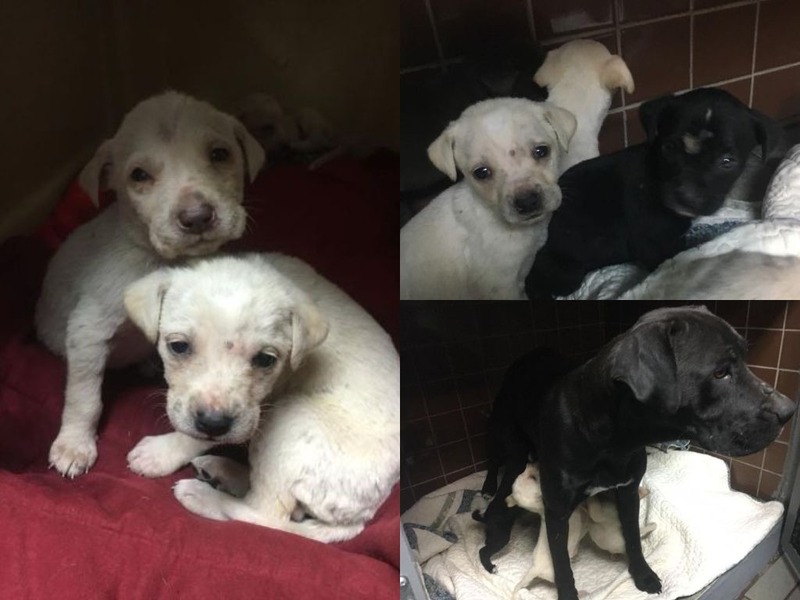 This Momma and her seven (7), 5-week old pups were found along a gravel road in Houstonia, MO on 12/27/17 when the temperature was in the single digits. They were tossed out in a plastic crate. The door was open with a bowl of water that was frozen solid. There is no telling how long they had been there, but they were cold, and they were hungry. A Good Samaritan heard about the abandoned family and rushed to bring them inside her warm home but with no resources and a landlord that said, “they need to be gone by morning,” she didn’t know what to do! She contacted Unchained Melodies and asked for our help. We quickly arranged transport, and they are now safe and warm and at the vet. However, they have a long road ahead of them. Momma is sweet and docile, but is severely underweight, malnourished and dehydrated. We named her Star because she is a Rock Star for braving the elements and keeping her pups alive. The pups have multiple medical issues which are being treated and should make a full recovery. 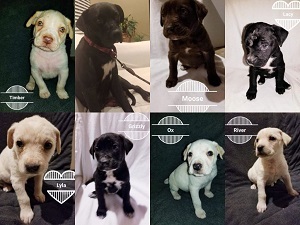 Unchained Melodies is committed to finding a foster home for Star and her puppies, and seeing them through their recovery and into their forever homes. This is what we do! You can keep up-to-date on Star and her puppies on our Facebook page.